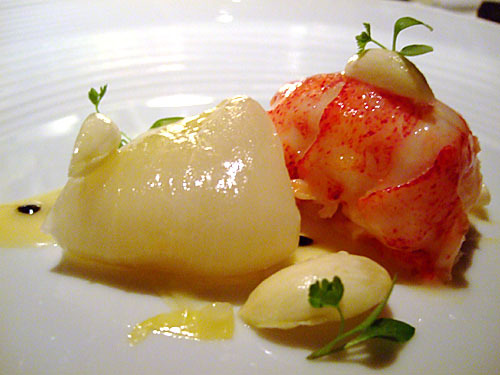 If you consider yourself a gastronome in Southern California and you are not reading kevineats.com, then you should start now. From the French Laundry & Le Bernardin, to Ludobites 2.0 – 6.0, and into the enigmatic world of underground dining, Kevin guides you through some of the most enticing and exciting menus coming out of the best kitchens in the country. He dines the way we all wish we could dine; showcasing each dish with photos that will make you salivate, and even-handed descriptions that let you experience an often super-hyped trend without all the propaganda. Before you drop $900 on that dinner at Alinea or The Bazaar, or make that reservation for your anniversary at Lucques, you should experience his posts on all. WSE: Congrats on the Saveur 2011 Best Food Blog nomination! Kevin: Thanks. It was definitely a surprise… very unexpected. WSE: What interests you so much about gastronomy? Kevin: Being able to experience food as much more than mere sustenance. 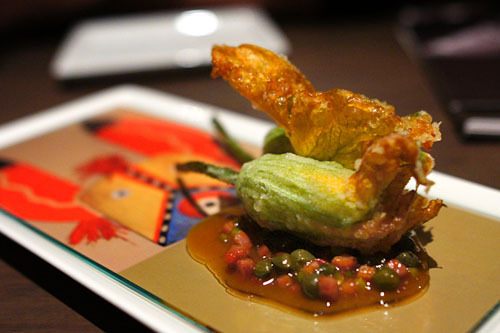 I love it when food can provoke me, surprise me, challenge me, make me think, evoke a sense of time and place. WSE: Is there a particular dish or experience that unlocked your epicurean energy? 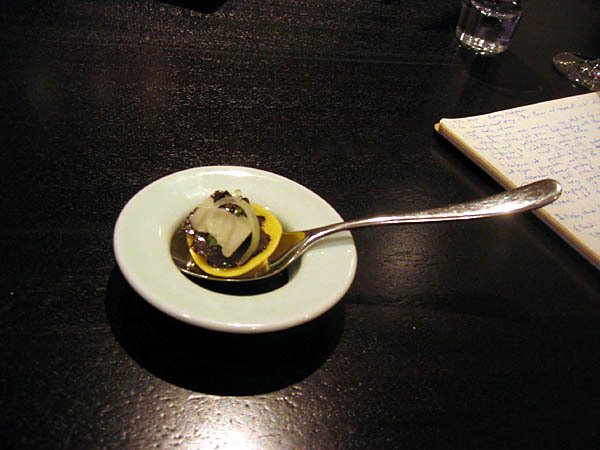 Kevin: Alinea, which happens to be my first blog post ever. It was back in 2006, when I was just a budding foodie. The cuisine there was so unlike anything that I’d ever eaten up to that point. It challenged my preconceived notions of what food could be, and engaged me on an intellectual, not merely gustatory level. As a result, I felt compelled to document the experience. That’s the genesis of kevinEats. WSE: How do you select your next victim…. I mean, venue? Kevin: A steady diet of Daily Dish, Eater, Grubstreet, and Squid Ink generally keeps me abreast of the latest targets. And of course, there are a number of LA standbys that I just haven’t gotten around to. There’s no dearth of places to visit around these parts–I have to be somewhat selective. WSE: You seem to have a real reverence for great service and a love for food; Have you ever had absolutely terrible service while you were out somewhere? Kevin: Service has almost always been a non-issue for me. The only exception actually happened recently at Umami Burger. I was forced to walk out of the restaurant for the first time ever after sitting at my table 40 minutes without being served. I tweeted about the debacle, and I was surprised to find out that a lot of other people shared my negative sentiments about the place as well. WSE: Maybe people recognize you when you go out in LA and that keeps your service level high..? Kevin: I’ve definitely had a few people come up to me– but they are usually other diners…. I was at the opening night of Bouchon in Beverly Hills and three different people came to talk to me because they read kevineats…. as for the restaurants recognizing me, I’m sure some of them do…. its hard to miss the guy taking pictures of everything before he eats it. WSE: Do you think it’s impossible to be anonymous as a reviewer in the current world of twitter/facebook/blogging? Kevin: Ideally, it should be done [anonymously]. But I don’t think that’s a possibility anymore. Everything is too connected now. WSE: You review places from taco trucks to Michelin starred restaurants… how do you adjust your critiques for each different venue? Kevin: Restaurants must be judged in the appropriate context–with respect to their peers, and with regard to what a place strives to be. That’s something that I always have to keep in mind. Certainly, I would expect more in terms of innovation, whimsy, and sense of humor at Alinea than I would from a taquería, but both places can be “5 stars” in my mind if they excel at what they each attempt to accomplish. WSE: In some of your earlier posts, you joke about how you go out to dine with 9 or 10 of your closest friends, but your recent posts seem to feature smaller parties. What’s the ideal party size for you when you go out to review a new place? Kevin: I think part of the reason my parties look smaller now is because I stopped writing the names of each person at each dinner…. but now I like to keep it to a party of four. That allows you to try several different things on the menu… sometimes even the whole menu– as we did at Playa— and it’s easier than a really large group. I still do the big groups sometimes– at Fraiche a few months ago– but I like to do tasting menus when we do that… so everyone gets their own plate of each dish. Not everyone is a foodie or a blogger, so it can be annoying for them to wait to eat something because everyone else wants to take a picture first. WSE: So you go out with other bloggers? Kevin: Yeah. Blogging can be cliquey…. WSE: Did the Yelp elite co-opt that aspect of the scene? Kevin: In some ways….it’s unfortunate, but inevitable. WSE: Seems like a sensitive subject….Do you Yelp? Kevin: I got banned from Yelp, actually… for posting links to my reviews on my blog. They really prefer for you to just do everything on Yelp…. But I still check it out sometimes. Usually when I am going to a new place and I want to find the best places to park. WSE: What’d you have for lunch today? Kevin: A pretty dry burger from Fuddruckers… It was a co-worker’s last day and he picked the place. WSE: You don’t seem to have the greatest luck with burgers…. Kevin: I’m not really a big burger person…. but I enjoy the Father’s Office Burger. And I want to try the one at Golden State. WSE: What do you drink on these excursions? Kevin: I once had a fascination with the mojito, but I’ve since moved on. I’d say that I’m trying to get more into beer now. My turning point was tasting La Chouffe for the first time. I didn’t like beer until I tasted it. It has so much complexity but it’s not too hoppy; it’s interesting but not too interesting. WSE: What are you excited for next? Kevin: I’m trying to get to El Bulli before it closes for good. And here in LA, I’m looking forward to Ink. to open in July. 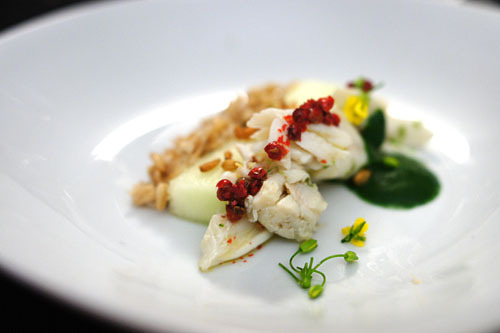 Check Kevin out at www.kevineats.com, and vote for him (Tonight– voting closes on 5/12) for Best Food Blog on Saveur. Three years ago, just after I moved to Los Angeles, a girlfriend invited me out to dinner in Silverlake. The space was gorgeous, with lots of character, and the menu hit all the right local-sustainable-farm-to-table notes. It was early, because we had 8:00 plans, and so the dining room was empty when we arrived. After we were seated on a banquette table, and pulled the napkins onto our laps, my friend noticed the booths in the middle of the room and thought that maybe we should ask to moved. Since we had already ordered drinks, and handled all the linen and flatware, I demurred. And things were going fine. Until the busboys started setting up a monster table of 20 right beside us. When they finished, there was less that 6 inches of space between our table and head of the monster table. And when the party arrived, they brought a new baby in a car seat that they nestled right beside my friend on the banquette, creating a scene in which all 19 guests came over to coo at the new baby with their derrieres directly in my friend’s entree. No manager came by to ask if we would like to be moved, there was no apology from the hostess, so my friend and I literally picked up our table and moved it down about 8 inches. The food had been good. The drinks spectacular. But that incident kept us from staying for dessert, and I have not returned to the place since. Any number of variables could have impacted our experience that night, (the party could have grown at the last minute, the hostess might have been new), but the real issue for us was the lack of acknowledgment. Though it pains me to say it, the restaurant is stuck with the bill on this one. There is nothing we could have done as guests to have avoided the situation, and the manager should have dropped by the table to check on us after it was apparent the section was…. squished. If you’ve had a weird experience while dining out, I’d love to hear about it. Just click on the link to the right, and submit your story. Then look out for the ruling on Where the Sidework Ends.